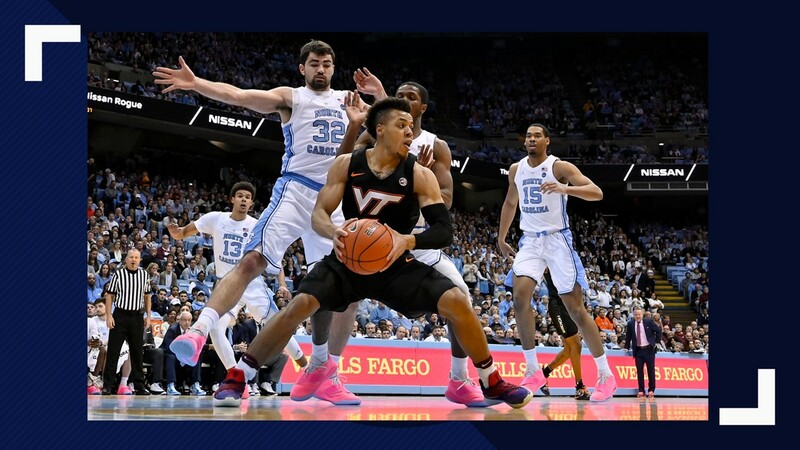 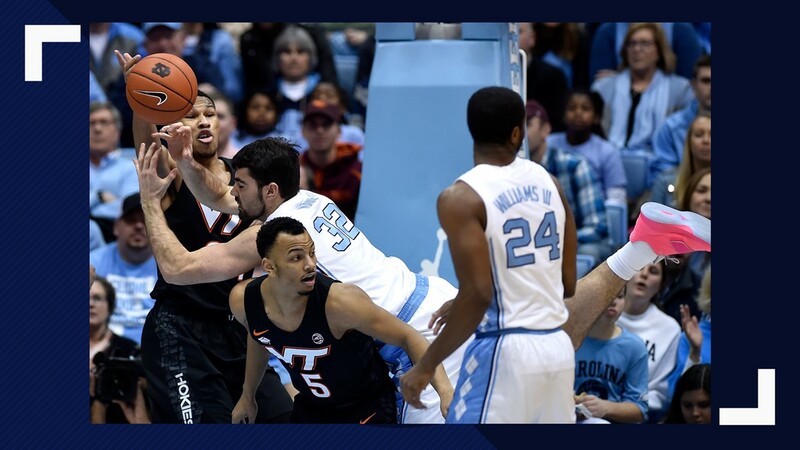 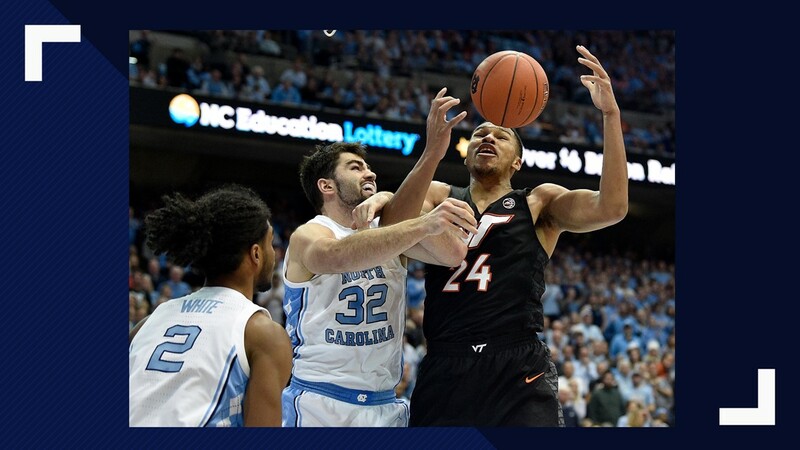 11th ranked UNC had a season high 16 3-pointers as they downed #10 Va. Tech 103-82. 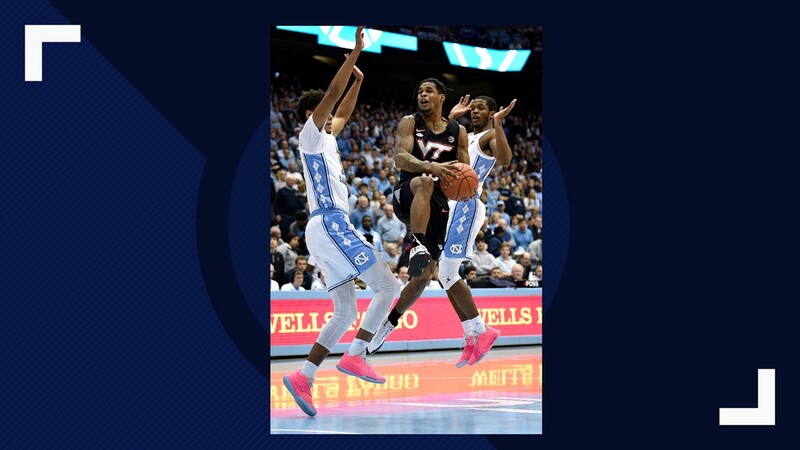 CHAPEL HILL, N.C. — Freshman Coby White scored 27 points and No. 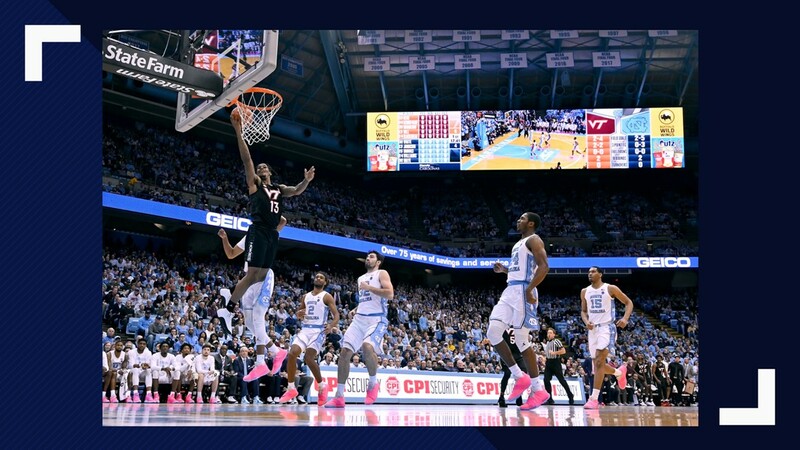 11 North Carolina knocked down a season-high 16 3-pointers to beat No. 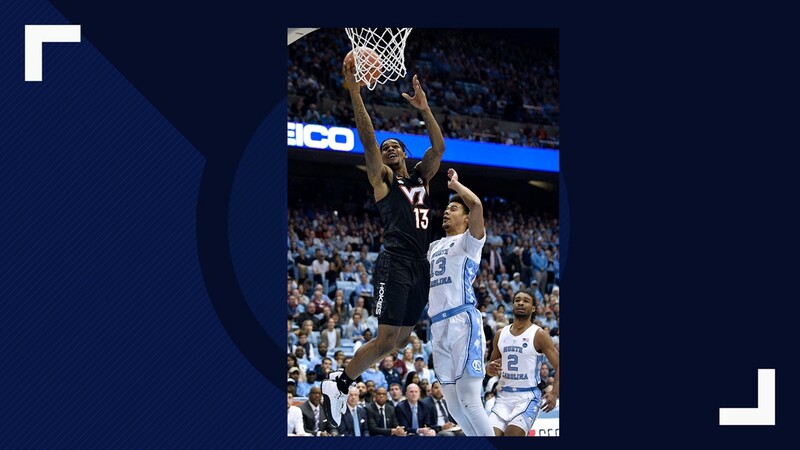 10 Virginia Tech 103-82 on Monday night. 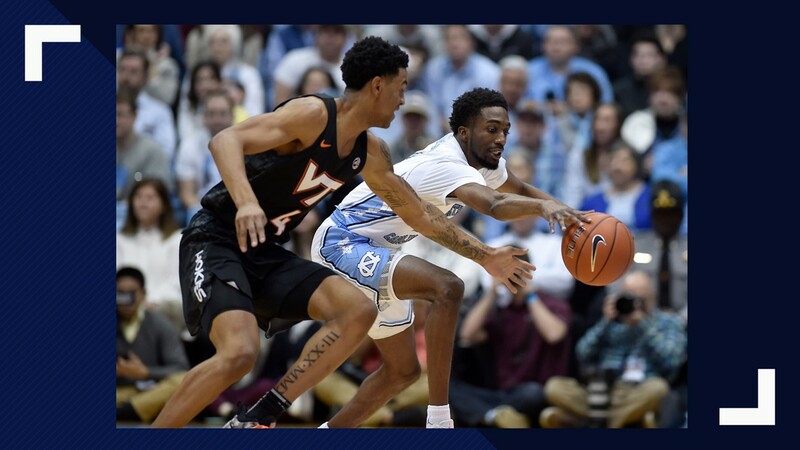 UNC made 15 of its last 22 3-pointers, finished the game shooting 54 percent and led by as many as 27 points. 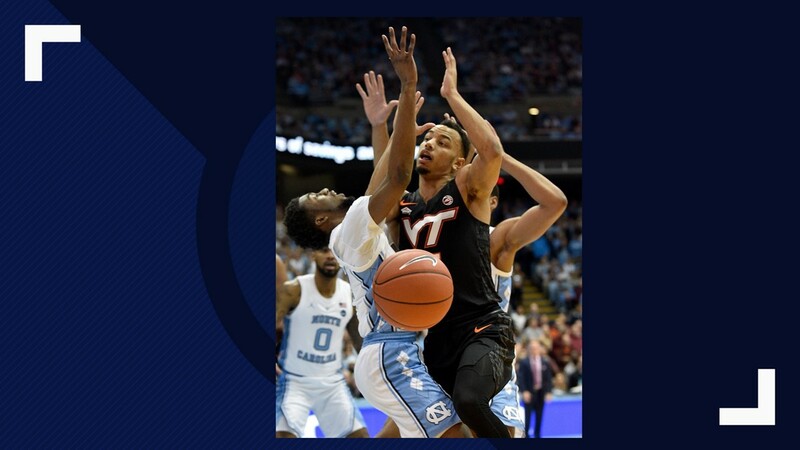 Ahmed Hill scored 20 points for the Hokies (15-3, 4-2), who made 6 of 7 3-pointers in a fast start only to end the half by going nearly 6 minutes without a basket.